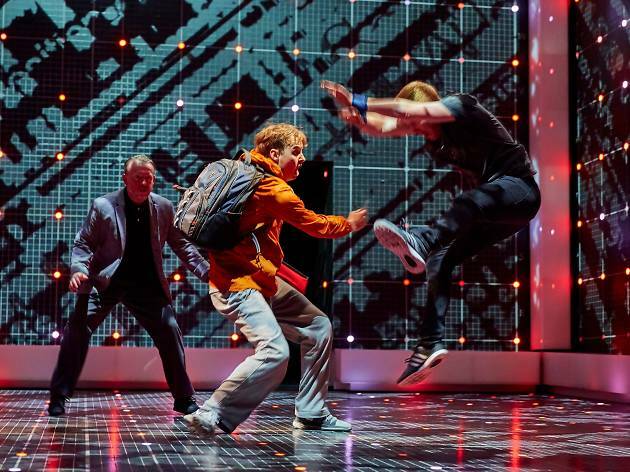 Three theatres, three casts, one major disaster and seven Olivier Awards on, the National Theatre’s adaptation of Mark Haddon’s novel about Christopher Boone, the teenage ‘mathematician with some behavioural difficulties’ remains a thing of unbridled wonder. 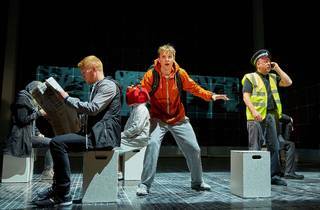 The occasion for this re-review is the end of the enforced layoff inflicted upon ‘The Curious Incident of the Dog in the Night-Time’. The show figuratively blew the roof off when it transferred from the NT to the Apollo Theatre, but unfortunately the ageing ceiling responded by literally collapsing, necessitating a change of venue and months off. Hopefully, that episode will provide a footnote. The most important thing is that Simon Stephens’s adaptation remains high tech and high quality. The first Christopher, Luke Treadaway, will always cast a huge shadow, and incumbent Graham Butler can’t match his coiled spring energy and manic otherness. But if Butler offers a gentler, more ‘normal’ hero, his superficial lack of strangeness means that it’s all the more heartbreaking when his nameless condition – presumably Asperger’s – leaves him suddenly, unexpectedly broken, unable to cope with something as simple as a human touch. 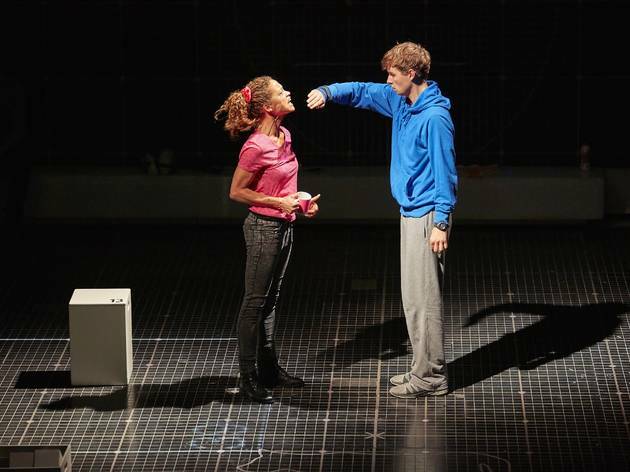 Ultimately ‘Curious Incident’ is a tragedy about a family torn apart by the pressures of looking after their son. Nicolas Tennant and Emily Joyce are excellent as Christopher’s bumblingly selfless dad Ed and agonised mum Judy, driven to put her own wellbeing before that of the child who will never love her in the way she loves him. 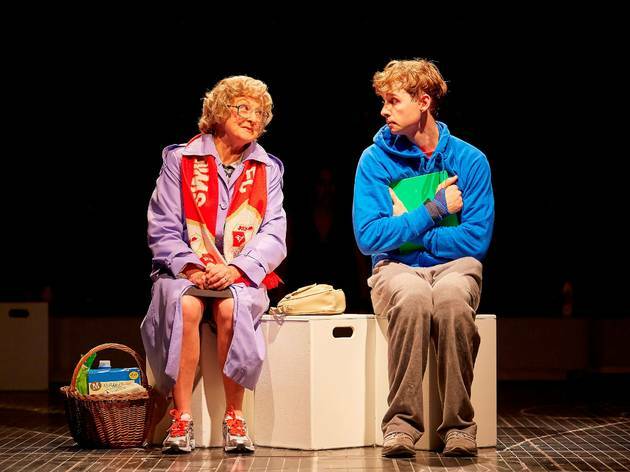 The genius of Marianne Elliott’s production is that the tragedy is bound up in so much charm, whimsy, good humour and virtuoso staging that you only occasionally feel blue as Christopher – convinced his dad is dangerous – embarks on an ill-advised odyssey to London to find his mum. Bunny Christie’s design was neat at the intimate Cottesloe, but blown up for a big stage it’s awe-inspiring, her huge mathematical grid set flaring with life at every turn: maps, cities, trains, constellations – the wondrous strange workings of Christopher’s mind, pumped into something exhilarating by Adrian Sutton’s electronic score. Perhaps it was weight of expectations, but at the NT I felt the show was a brilliant but conventional adaptation of Haddon’s unconventional bestseller, reliant on Treadaway for greatness. But on a bigger stage, its virtuoso techiness is given full reign – this is a show that’s as extraordinary as its hero. This review is from July 2014. 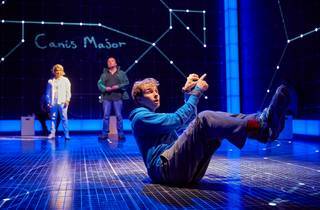 'The Curious Incident of the Dog in the Night-Time' returns to the West End at the Piccadilly Theatre in a limited run from November 2018, with a new cast. How to get cheap tickets: a limited number of day seats for each night’s performance will go on sale at the box office every morning at 10am, priced £15 each. In person only. Arrive before the box office opens for your best chance of securing seats. A dramatic, mathematical story with a huge technological production. This high tech show reflects the angered, problematic events of a teenager. Sam Newton who played the role of Christopher Boone at the time I went to see it was indeed a fantastic character who took this show to an infamous success with their numerous Olivier Awards by their side. 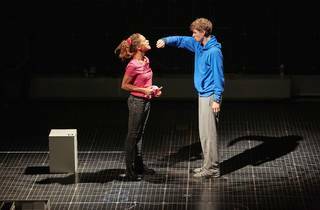 I went to see The Curious Incident of the Dog in the Night-Time on its last week. It took all this time to go and see an eye-catching production like this one. I'm glad I went to see it and experience such a notable, superb show of life. This was definitely a surprising show from the beginning to the end. The tormenting life of Christopher was very relatable to many teenagers out there who feel the same way. I could feel the worry in his voice, the emotion of a strong, intellectual young man, but very vulnerable and honest. The design and lighting used on stage were incredibly well executed and used with maximum success. All the pixilated, colourful patterns really added the technology side to the show. This young mathematician went through many family difficulties in his path. He grew with them and was determined to find the culprit and the truth of the incident of the dog. An innovative way of demonstrating a classic storybook on the West End. It was a wonder of life and an adventure of a lifetime. The sense of London was infused in the story and the cast played brilliantly well. I had a wonderful surprise when I arrived at my seat. My seat at the Gielgud Theatre was a Prime Number Seat. That was a very peculiar and curious surprise. My first and last name had to add up to make a prime number. It did and I won a badge. I hope that everyone followed the unfolding episodes of Christopher's journey. He somehow demonstrated that even if life seems difficult, turning your back on the equation won't solve the mathematical problem. There was a tremendous surprise right at the end of the show and I hope that whoever did go and see it, stayed behind and experienced the magic of a genius at work. Believe the hype: this is moving, ingenious theatre, which makes impressive use of its deceptively simple set. Sorry to be a party pooper, but our party of four thought this was dull. A 'dripping tap' play; a bit pretentious, bare and full of boring silences. Worthy of course, but too clever for its own good. It wasn't even a story. At interval, I hoped it was going to come to some clever, stunning climax, as it had been critically acclaimed, but it went absolutely nowhere. I couldn't help thinking Emperor's New Clothes! 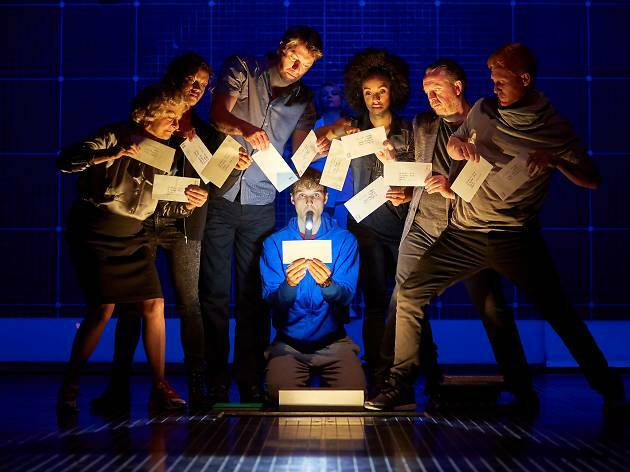 The Curious Incident of the Dog in the Night Time is a must see! Since 2014 it has been shown at the Gielgud Theatre on the very busy Shaftesbury Avenue. Although busy, the hustle and bustle of walking up to the stunning theatre with the show in bright blue lights heightens the excitement of watching a production in the West End. 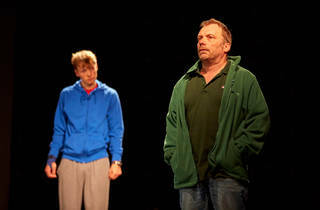 The production is based on Mark Haddon’s award-winning novel, adapted by Simon Stephens and directed by Marianne Elliott. The theatre entrance hall is small so gets crowded 30 minutes before the production starts however the seats even in the Royal Circle are comfy, spacious, with plenty of leg room. There are also plenty of toilets dotted around which makes a change from the usual long queue during the interval at some of the older theatres. There is a lovely grand bar area which adds to the experience but can get a little crowded. The view from the seats we had was still good although to the far right side and up in the circle. The show itself is incredibly thought provoking, witty, entertaining and moving and is put together in the most amazing way - the most awesome visual effects I have seen! The stage is used well, the plot moved along at a good speed and the actors were brilliant. It is definitely one of the best productions I have been to (see below for plot overview). "Christopher, fifteen years old, stands beside Mrs Shears' dead dog. It has been speared with a garden fork, it is seven minutes after midnight and Christopher is under suspicion. He records each fact in the book he is writing to solve the mystery of who murdered Wellington. He has an extraordinary brain, exceptional at maths while ill-equipped to interpret everyday life. He has never ventured alone beyond the end of his road, he detests being touched and he distrusts strangers. But his detective work, forbidden by his father, takes him on a frightening journey that upturns his world." I saw this show late last year and absolutely loved it. I was pulled in from the very start. This is a great watch and tells the story very well. A remake of a brilliant book! One is always hesitant on whether the director/producer/cast can deliver on an already great book but they have certainly done so. Really innovative use of the stage and it is such a unique set. The performance by Luke Treadaway is one of the most moving performances I have ever seen. Saw this when it was in Apollo Theatre before the accident.. Glad to see the show has not only overcome that but thrived! Not a huge fan of the book. For some reason found it really hard to connect & empathise with Christopher Boone as a character on the page. However although this play is faithful to the original book it is such a completely different experience & I loved it! The cast were fabulous, the sets were inventive & it was a truly modern, innovative & entertaining piece of theatre. It made me both laugh & cry. I found myself really rooting for our atypical hero. Kudos to the National Theatre, another fantastic contribution to our vibrant West End. Wonderful experience! Fantastic acting, brilliant use of the modern stage, a realistic yet inspiring plot and unpredictable twists. This play was very enjoyable to watch. I would recommend it to all my friends. I love all about it - book, interpretation, acting, light, choreography. An absolutely fantastic show. I was so absorbed and emotionally engaged, I nearly breakdown and blubbered at the end. It's really hard to review this competently as it's such an unusual show - but everything is done perfectly - the acting, the staging, the choreography and the effects. There is a quite a lot of swearing which seemed unnecessary to me. The only valuable thing I can say is we could only afford the restricted view £25 tickets and I was nervous it would spoil our engagement and in reality it made almost no difference! There's one bit during the play where you can't see a bit of the visual for about a minute and then at the end another bit is hard to see. But for the difference in price i would really recommend the £25 rear stalls tickets. Cannot recommend this highly enough - definitely one of the best plays I have ever seen. A very good production. An emotional journey of how being different affects your outlook on life and of those around you. Laughter and sadness throughout, though more poignant in its sadness. Would recommend this play to all, young and old. I left the theatre numb, almost speechless. This young man's story made me realise that we're not all equipped the same in dealing with life, but understanding the differences will make you a better human. This is a great show, fun, emotional and with a great outstanding cast! The crew depicts autism in a different and original way. The actor who plays Christopher delivers a fantastic performance. The staging adds an entertaining dimension to the story. I wonderful show for both adults and kids. Must seen. This is a great show, really entertaining, different and draws you right in from the very beginning. The set is clever and original and the acting is just superb. I love the way that autism is portrayed in a way that helps you better understand it and really empathise with the struggling parents as well as the everyday challenges for the boy himself. A great show to see. A different, fun, emotional and wonderful show. It was refreshing to go and see something so contemporary and unique. The performances were brilliant, especially the actor who plays Christopher, who shows a great insight into the mind of someone who has autism. The stage effects are incredible, with the whole stage light up in squares, an escalator and various other special effects. The dog that features later on is adorable too! One thing I would say is that the experience was probably better for me as I had read the book. If you didn't know anything about the story or play it might seem slightly confusing! Funny, emotional, clever, touching. Everything a thinking theatre-going person could wish for in a night out. I had a restricted view seat and, although I could see all the actors for 95% of the time, I'm sure missed out on some of the famous stage effects. I would recommend paying a bit extra to get the full experience. 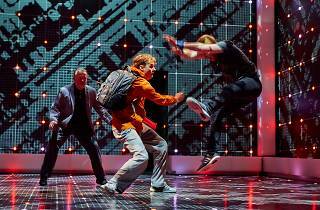 The Curious Incident of the Dog in the Night-time is an incredible show and brings something new, electric and contemporary to the West End. Firstly, the story is brilliant and easy to become totally engrossed in. Of course, as it is based on the award winning novel by Mark Haddon, this is hardly surprising. Yet what is a surprise is the inventive and stunning set. 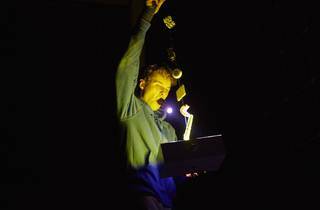 Playing on the scientific element of the show, the electronic cuboid of a set, complete with lasers and projections is a triumph in itself and brings a whole new dimension to the performance. The performances themselves are fantastic. I have now seen the show multiple times and every actor that portrays the autistic Christopher does so with humility, accuracy and their own individual interpretation; acting at its very finest. I find the Dad character’s script sometimes a bit stilted and the humour in his lines forced, but overall, the company are extremely strong. As a show, it offers all you would want. It’s funny, it’s moving and you are left awe-struck by the innovative staging. 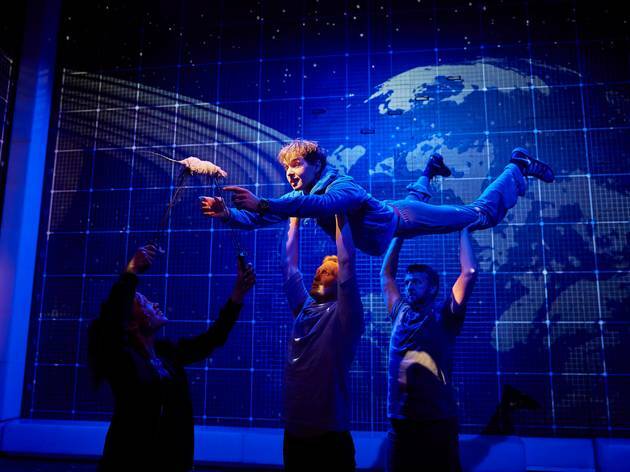 If you fancy a show, but want to avoid the soppy ballads and jazz hands, get a ticket to Curious and you will not be disappointed. Everything about this show was truly absolutely amazing. I went in not really knowing anything about the story and was very pleasantly surprised by the twists the story throws at the audience. The staging is extremely clever, and the way the actors interact with it even more so. The actors were absolutely incredible, and I felt as if I was watching reality, rather than a play for some parts. I would really recommend this show, it is very well done. The hype surrounding this show is phenomenal and I don’t think I know a single person who hasn’t enjoyed it. I enjoyed the show a lot and thought the leading actors were fantastic. The staging is very clever and innovative. However, I didn’t think the show was as amazing as it’s made out to be - perhaps I went in with too high expectations. Worth seeing, but I think there are better shows in the West End. A play we've been looking forward to for a long time and we weren't disappointed. Starting off with an innovative set and cast set-up, we were engrossed from the beginning. An excellent cast, with some well known faces, was topped by an excellent performance by the actor playing Christopher. It swayed from very funny moments to quite heart-wrenching moments without overdoing the slush. I particularly enjoyed the way the supporting cast were used almost as props at times with some unique physical moves. I'd definitely recommend this to anyone from teens, of whom there were plenty in the audience, upwards. Such a great play! Really inventive set design. Gives a great insight in living with / knowing someone on the autistic spectrum without ever putting a name to it or being in your face about it. Highly recommend it! Great production! As a big fan of the book I wasn't too sure what to expect, but it definiely does it justice. The set design is amazing, with a really inventive use of lights and sound in what at first glance seems like quite a basic surrounding. Just the right amount of humor with fantastic acting. 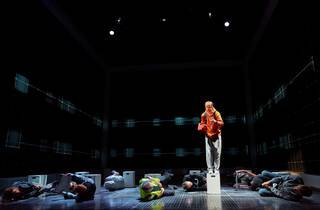 I watched The Curious Incident quite a while back, but from what I can remember, I thought it was incredible and easily one of my fave theatre production in the West End. Based on Mark Haddon’s unconventional novel (which I loved), I was mesmerised by the high-tech stage lighting and admired the charm, wit, good-humour and level of acting which really brings to life the characters I had imagined them to be when I read the novel. Christopher, the little boy who presumably suffers from Asperger’s and from which the novel/play revolves around, is a tough character to portray and I thought Luke Treadaway (the first Christopher) was excellent. As a bit of a tech geek, what I loved most was the stage. It’s very techy and it’s unlike any other stage I’ve seen on the West End. It is dazzling. There are some swear words thrown in so you might want to leave the kids out of this one. If you’ve read the novel and loved it, you’ll love it even more after seeing this. It’s fantastic. If you haven’t read the novel, don’t worry, you’ll love it all the same. Highly recommend a watch. What a stunning production. I read the book a few years ago and it's a story that gets under your skin, so I was really excited to see this. We all deal with family break ups in different ways but what of the folk that process things differently from the mainstream. This is a phenomenal depiction of just that and follows the book superbly. It's eerie, it's noisy it's goosebumps and gobsmacks. It's a stunning piece of physical theatre with tightly knitted choreography. The performances were solid, well cast and shockingly believable. The lighting and set alone deserves its own dressing room, staggeringly good. I was enthralled from the opening scene, and had to lubricate with Chablis to prepare for the second half. See it. Having enjoyed the book I was keen to see the stage production which was excellent and did not disappoint. The set was very innovative and the cast excellent. Absolutely first class. This play is as good as the book and the main actor was phenomenal. The story is really interesting and the set is great. A must see for all theatre go ers. This was a very entertaining evening and I had not read the book beforehand. The story is a simple one but the cast hold your attention throughout as the action unfolds. The main point of the play is about getting into the mind of the autistic boy Christopher with regard to how he deals with the various issues and challenges arising. 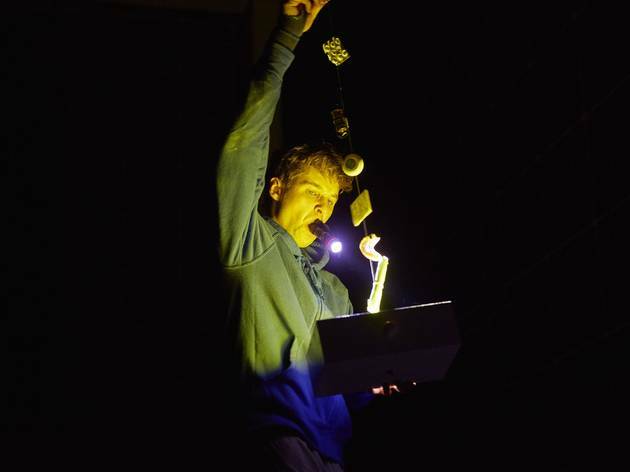 It is an excellent example of Physical Theatre - all the action taking place in one set but with many surprising physical and electronic features together with movable props. The cast was mostly excellent particularly the leading man. However it was let down from time to time by inaudibility especially on the part of Christopher's mother. (Don't Drama Schools teach voice projection any more? Do Directors no longer sit at various parts of the theatre to test projection in rehearsals?) Otherwise thoroughly recommended. A very smart adaptation of a book that has meant a lot to a lot of people, myself included. 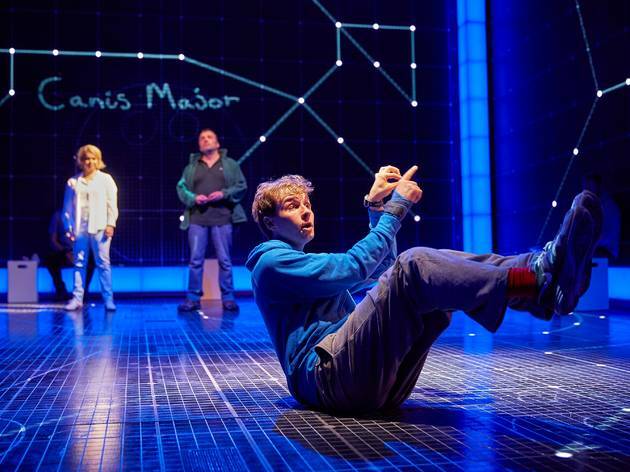 The staging and production puts you in the often confusing head-space of an autistic boy, and seeing the world through his mind is something that will stay with you. The lead was a fantastic actor, and believable throughout. If you love the book, you wont be disappointed. And if you haven't read it, then do, and see the show. Having read the book, I was looking forward to seeing how this would be adapted for a stage production. I wasn’t disappointed, the small cast were all very talented and the set design was incredible in helping to interpret the story to the audience. There were some very memorable parts of the show and this is one I would recommend to see. I consider the book an absolute classic so I was dubious as to how this could possibly be adapted for the stage. However, the lead role plays the part perfectly (especially at the end when he tries to explain how he solved the tricky Pythagoras question is his A Level Maths exam!). The staging was just wonderful as well. Definitely recommend for a matinee performance. 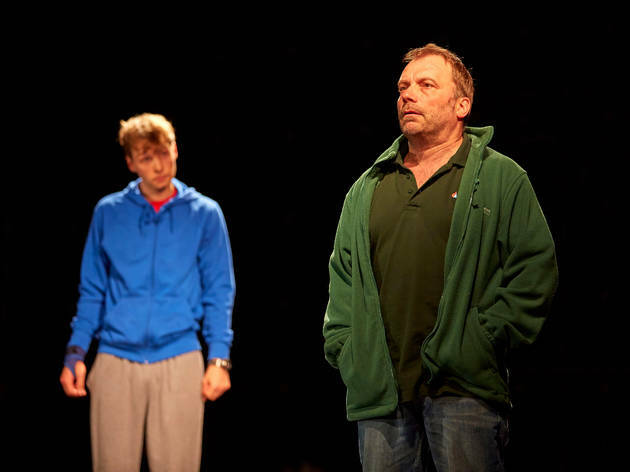 Mark Haddon's powerful novel adapts surprisingly well to the stage. 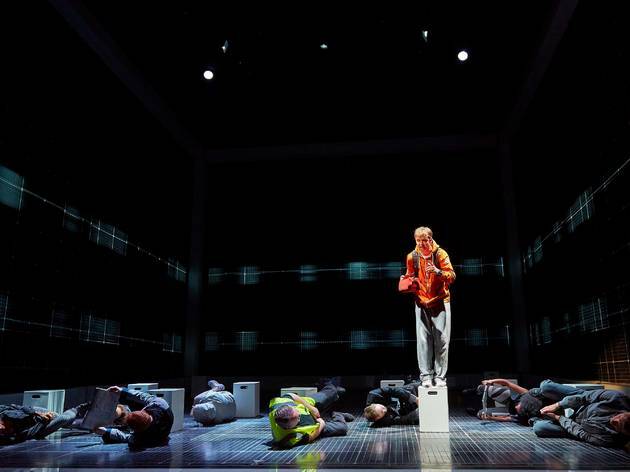 Using LED stagecraft, the production gives the audience an insight into the world of Christopher, an autistic teenager, as he tries to decipher the mysterious death of Wellington, the eponymous 'curious incident of the dog in the nighttime'. Simon Stephen's skillful use of choreography, lighting and sound immerses the audience in the chaotic, and sometimes terrifying, journey. An outstanding production and one I'm looking forward to seeing again. I have to admit I was somewhat sceptical as to how this modern classic would adapt for the stage, but Curious Incident really performs. Faithful to the original, yet updated with a unique and thoroughly modern retelling. The staging is simple and uncluttered, which really allows the story to shine through some very impressive performances. I won’t spoil the ending, but there’s an aesthetically wonderful moment which will have the entire audience blinking away the tears. Highly recommended. The play was fairly engaging and certainly very creative in its use of theatrical storytelling techniques, yet, in my opinion, it failed to convey the essence of the book. I would certainly recommend it for a nice evening out, but if you actually care about the narrative, read the book first and be prepared to be slightly disappointed. 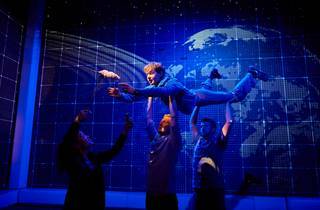 Extremely inventive play based on the Mark Haddon'snovel, about life's values. I hadn't read the book but I enjoyed the play. You are really going to be amazed by the lighting and set design ! very suggestive! I just loved it. Flawless, the set was incredible, the actors amazing, everything was perfect. I don't want to spoil the ending too much, but even the little surprise that fits in with the book is perfect. The tickets aren't over priced like most plays in London. The play's representation of the book is impeccable. Obviously they don't mention every single thing, but the key things are listed. The way the set lights up is perfect. And there's a part on the Underground that makes you feel like you're in the play because you experienced the same feeling when you first took the tube too. Just amazing. I can't believe they don't charge more for the tickets. I loved every second of this - the show was just unbelievable! This is hands down a ‘must see’. It is quickly evident that this is not any old piece of theatre that’s been thrown together. It was well thought out, well put together and fantastically executed. The time spent into research was invaluable as it was a very touching play that erupted many emotions through humour, sarcasm and awareness of the world of Autism. Whilst so much was protected, equally so much was exposed which also made it a thought provoking, intriguing and engaging play. The staging was clever and imaginative and all roles were fantastically acted out, especially the role of Christopher. When it wasn't heart-warming and fluffy, it was inspirational, moving and educational. Not to be missed. This is the most thought-provoking, intelligent play I have seen for a very long time. An incredible script about a very difficult subject. Cleverly infused with the right amount of humour and pathos, the clever but simple set keeps your attention on the brilliance of the script and incredible performance of the actor. So moved and so funny drama. 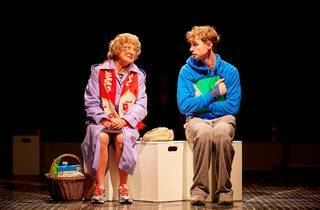 One of the most original, funny and interesting plays currently gracing the West End. The direction, staging and acting were all superb. I thought the whole atmosphere of the show was very good indeed. They portrayed the troubles and sensitivity of the young boy's life wonderfully well. The show was in itself also very entertaining and well paced, considering the fact that it's hardly an action thriller...Anyway, I would suggest seeing this whilst you still can, although be warned that some of the seats in the Gods do not give a fantastic view. 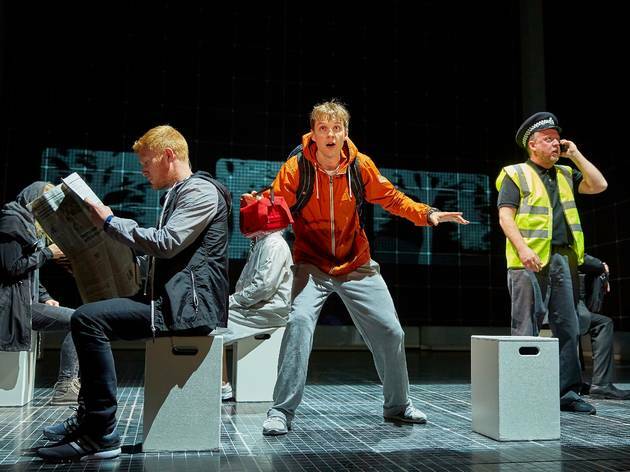 It would be quite easy to adapt ‘The Curious Incident of the Dog in the Night-Time’ into a linear, straight piece of theatre but this visualisation ofa young man’s struggles with everyday life is beautiful, innovative and brilliant. The sheer feats in physicality plus the spark of imagination it inspires in the audience are nothing but genius. The acting is exceptional, the stage is incredible and, of course, the plot is heart-breaking and touching. It’s a strikingly original production that would have really wowed an audience when it first opened but I feel like theatre-goers are now spoilt with spectacle so it won’t get the credit it deserves a few years on. But, hopefully it will continue going strong for a long while as it really does deserve a spot as a West End staple. An interesting, thought provoking and highly gripping production, this had me on the edge of my seat throughout the performance. The set and the acting offers a real window into the lives of people who suffer from such isolating illnesses without making you feel sorry for the characters. I particularly enjoyed the modernized set which provided the backdrop to add humour to a delicate situation. I must take my hat off to the performers in this, especially the main character, and must tell you to stay at the end, don't leave too quickly! A brilliant, buzzy, vibrant production that flies a long at a pace. You don't even realise how quickly the evening has gone when you leave the theatre on such a high. Superbly acted funny, touching. You get a real insight into what it might feel like to suffer from aspergers. My only criticism would be the theatre is usually full of school kids screeching, talking, whispering, fiddling and generally being annoying. Oh well they have to go some way to stop you from loving this production. Great play. The history is brilliant, the scenario excellent and the actors outstanding. An emotional and funny story. The theatre is very good and the price is worth it. I recommend the Dress Circle with a very good view in any row or location. Wow! Went to the Gielgud Theatre yesterday with my 17 year old son and 13 year old daughter. What an incredible show! The acting, direction and set were all superb. It was powerful, moving, funny, sad and very clever and we were all enthralled. I had read the book but my children hadn't and they loved it as much as I did. A must see! Set is absolutely fantastic and really innovative. Lead actor was also excellent.